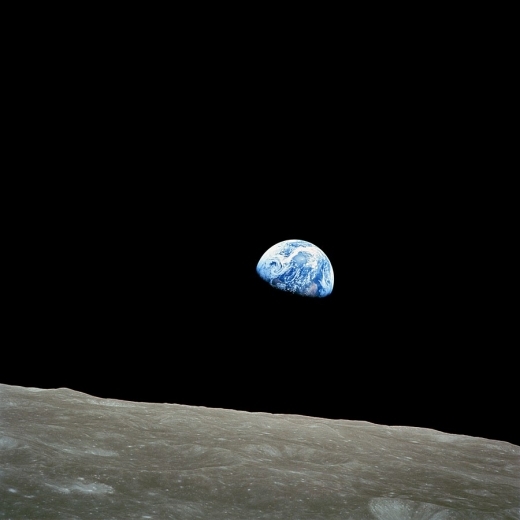 The iconic image of the Earth rising above the lunar horizon taken by Bill Anders is probably the most memorable photograph of the Apollo 8 mission. 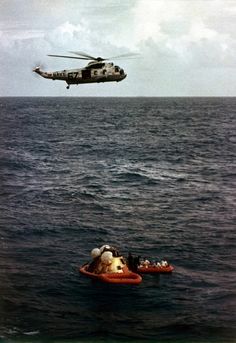 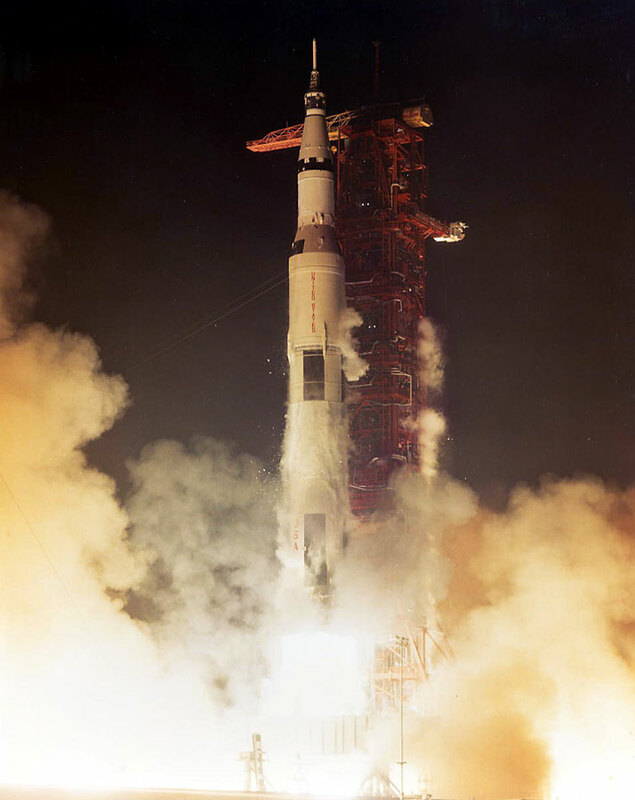 John Young, the backup CM Pilot for the Apollo 7 mission, shown entering CSM-101 during high-altitude chamber tests at Kennedy Space Center in July 1968. 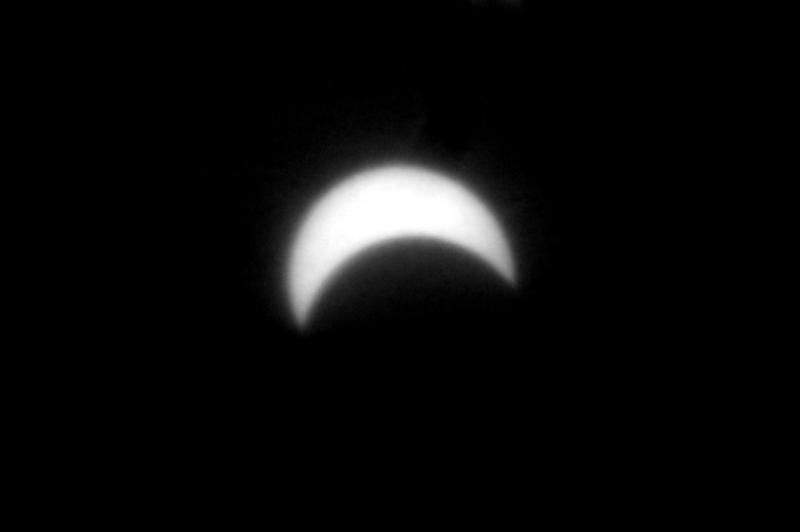 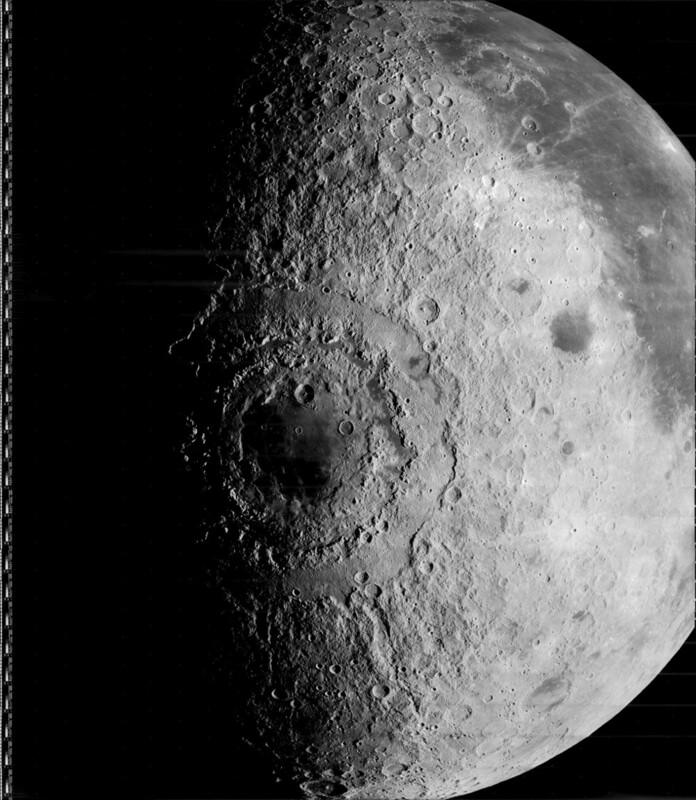 Image: Lunar farside as seen by Apollo 8. Credit: NASA. 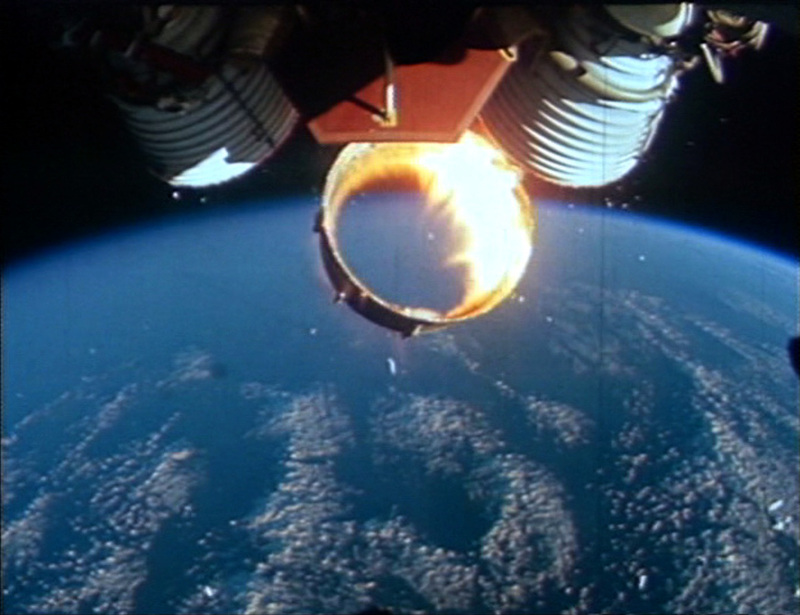 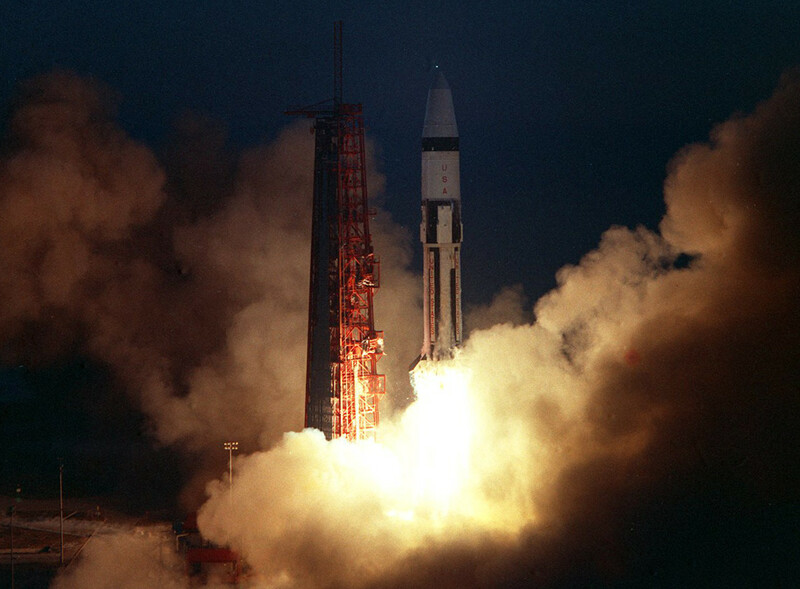 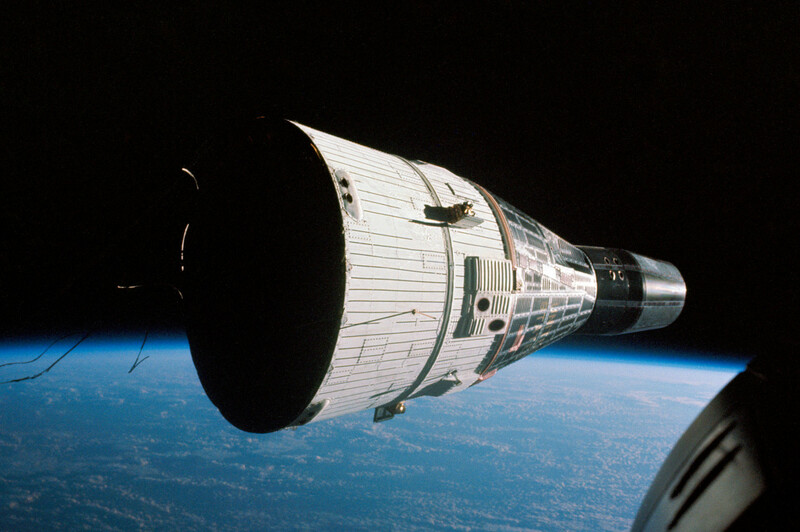 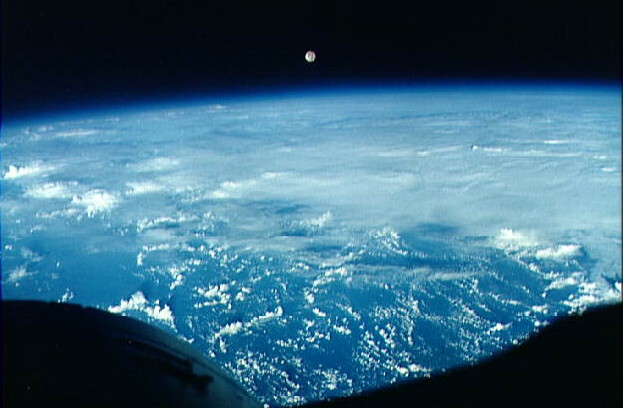 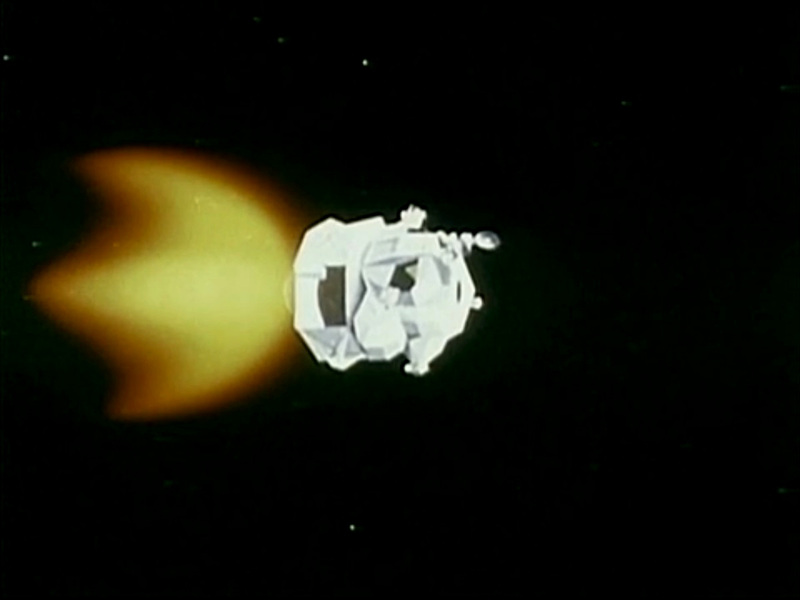 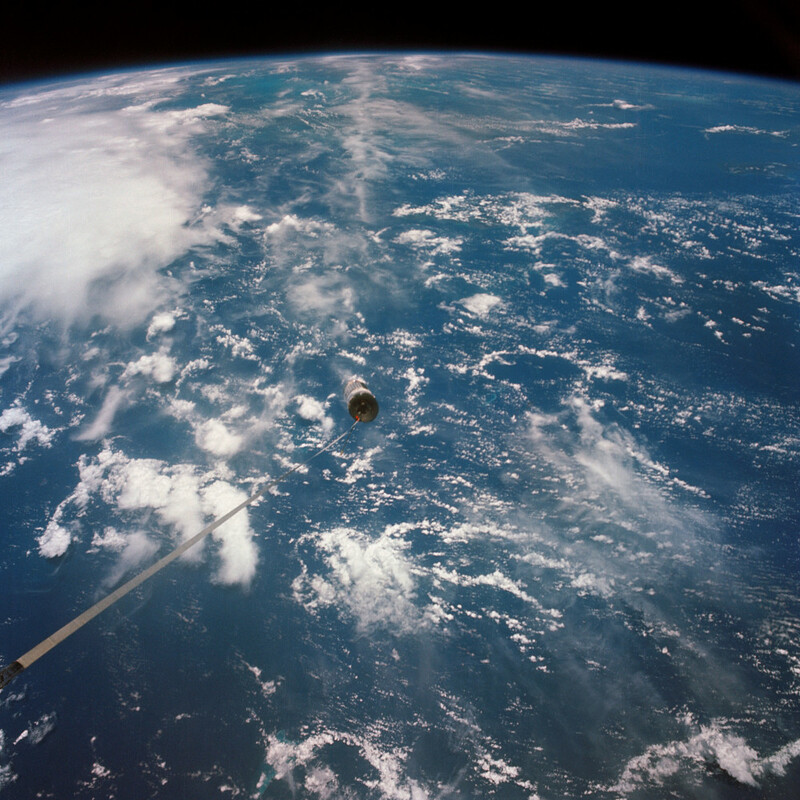 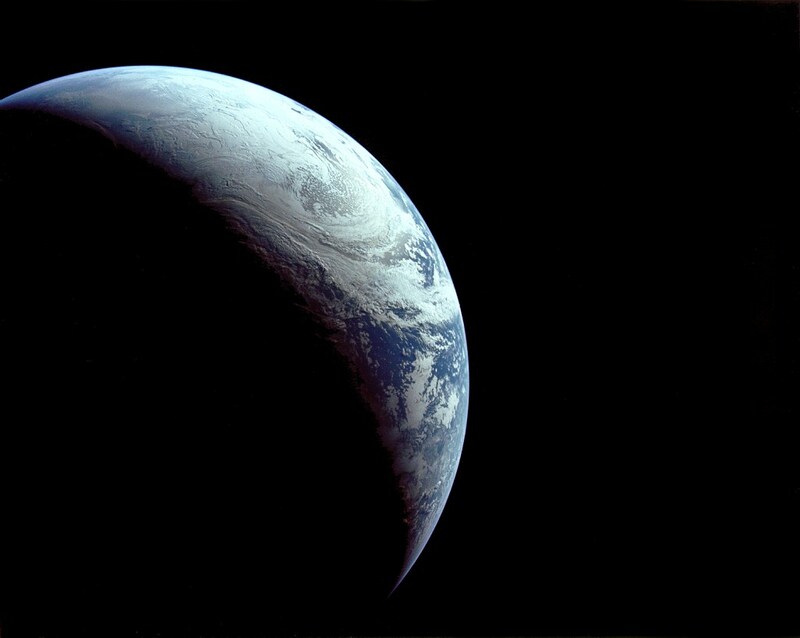 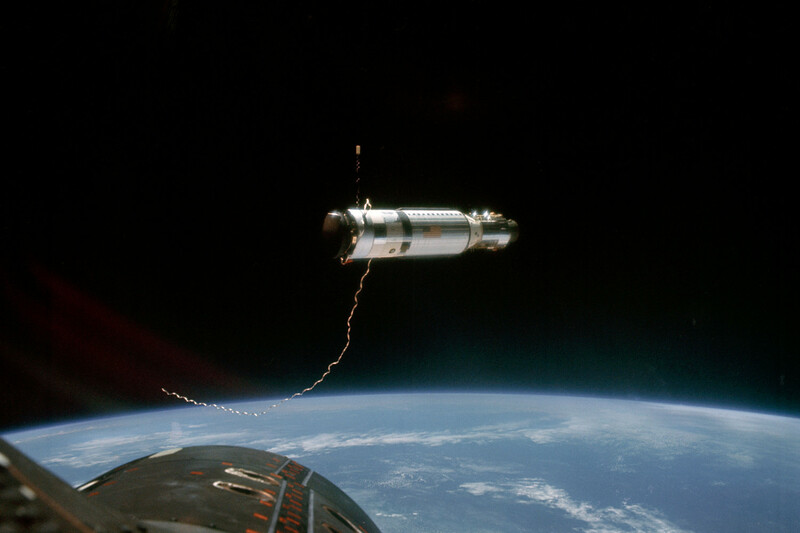 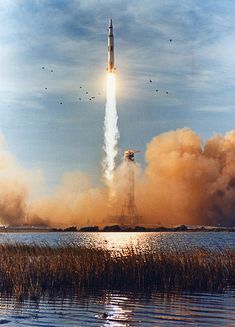 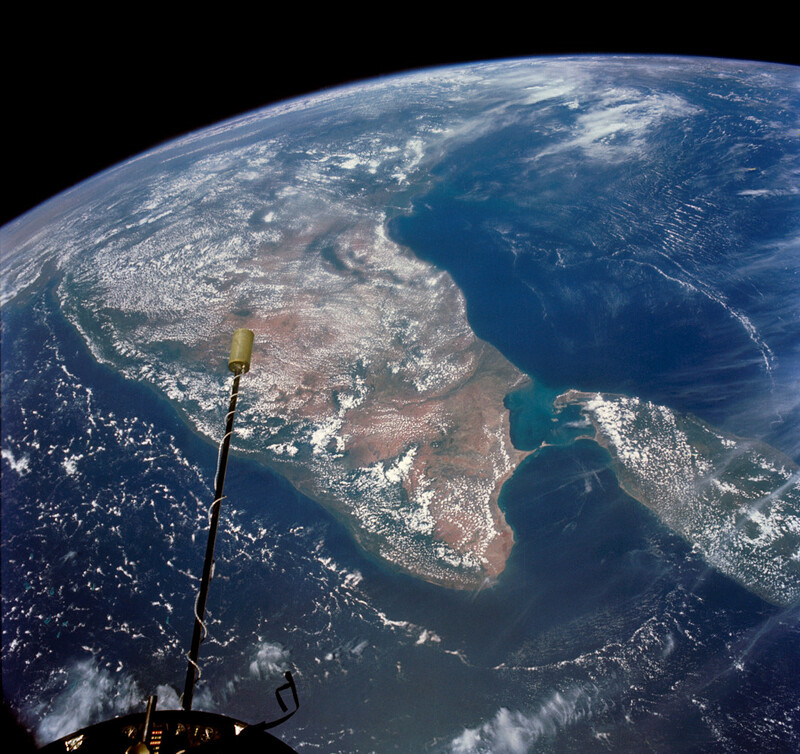 A still from footage showing the view out of the left rendezvous window during the reentry of Apollo 6 with the limb of the Earth visible to the left. 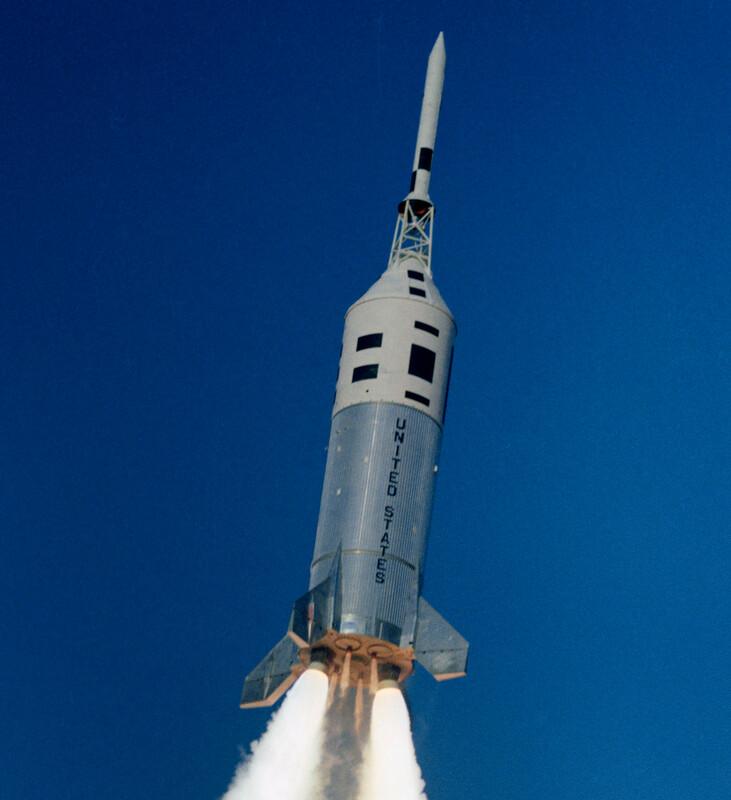 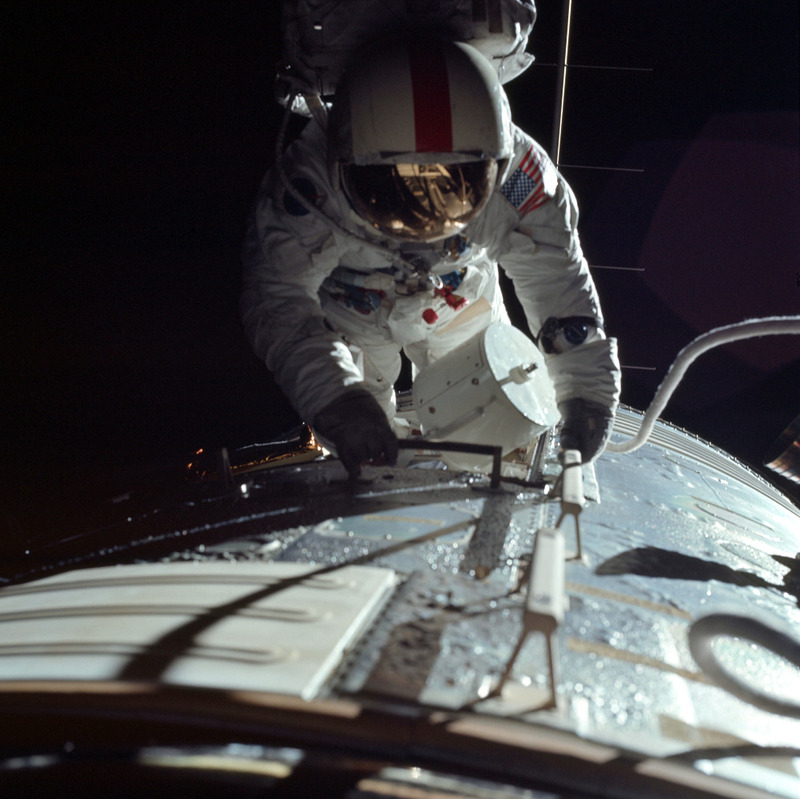 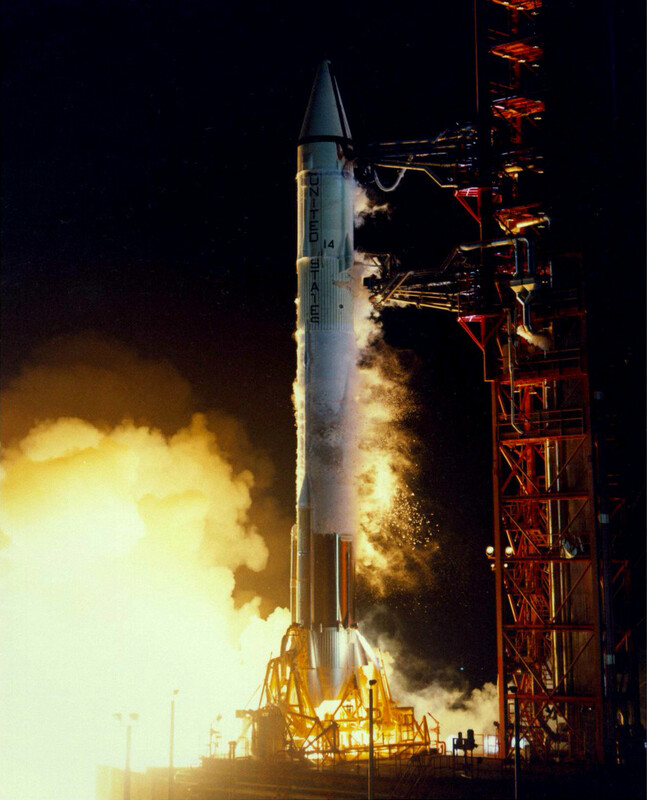 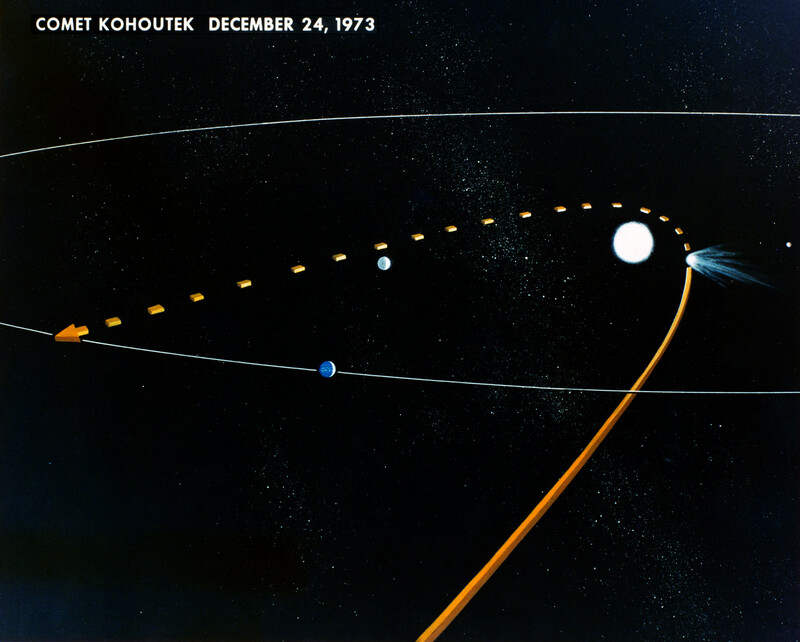 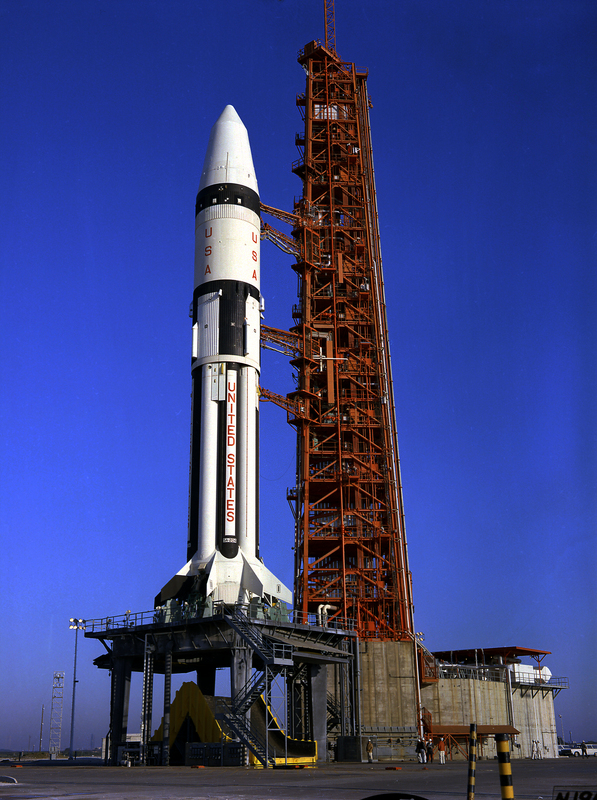 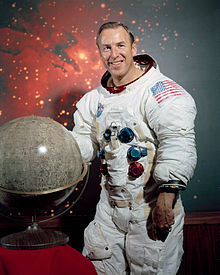 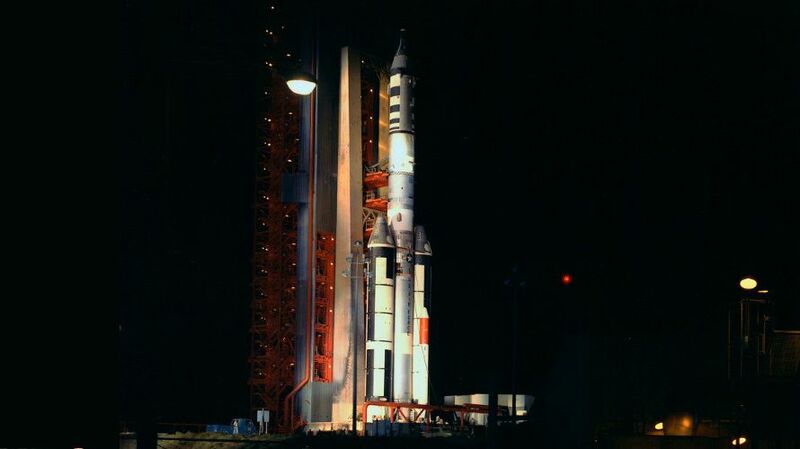 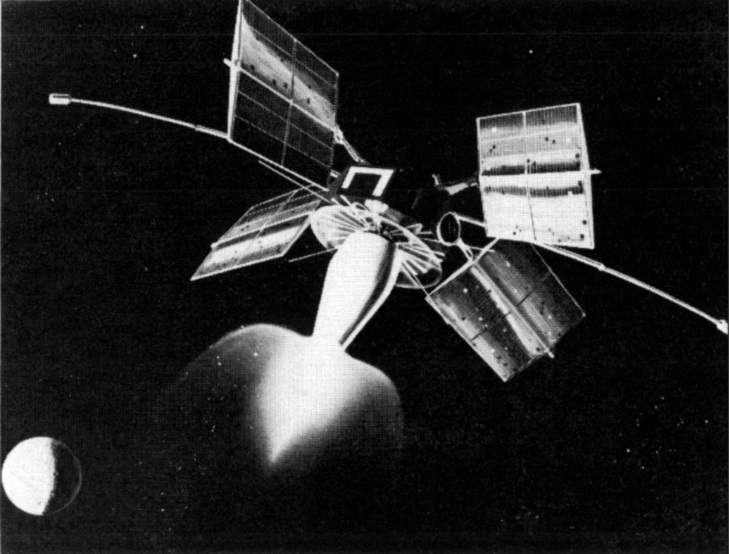 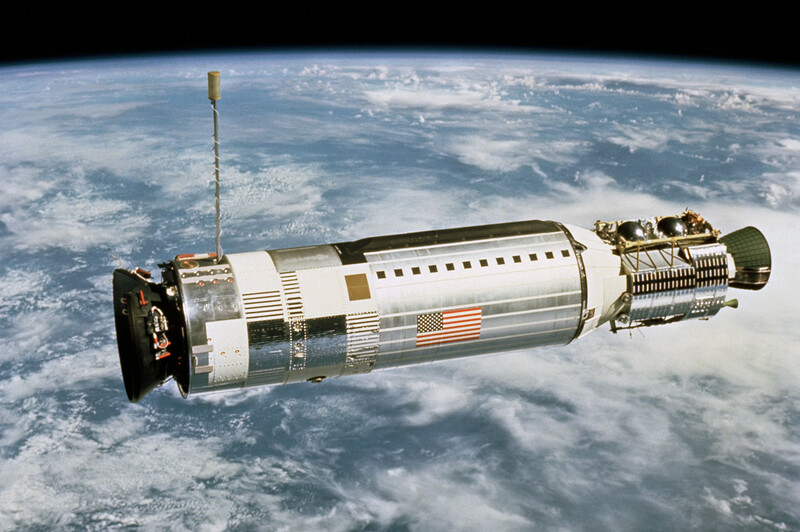 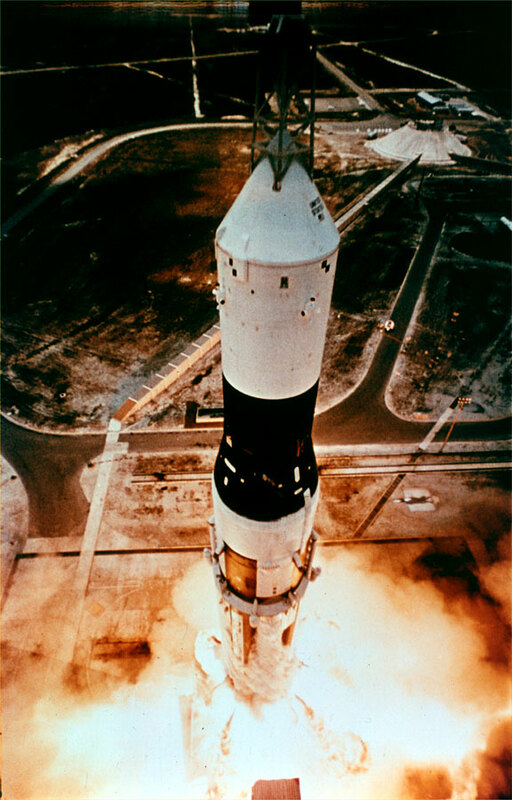 Almost lost in the flurry of activity were the preparations for the final mission of the Gemini program. 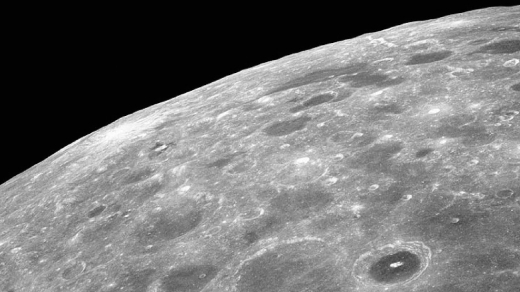 This view of Mare Orientale was acquired by Lunar Orbiter 4 using its medium resolution camera at an altitude of 2,783 km during Orbit 33 on May 25. 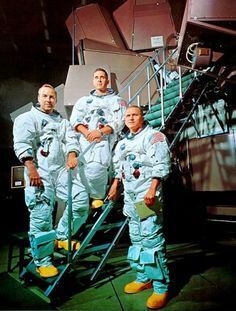 Apollo 8 crew is photographed posing on a Kennedy Space Center (KSC) simulator in their space suits., William A. Anders, and Frank Borman.